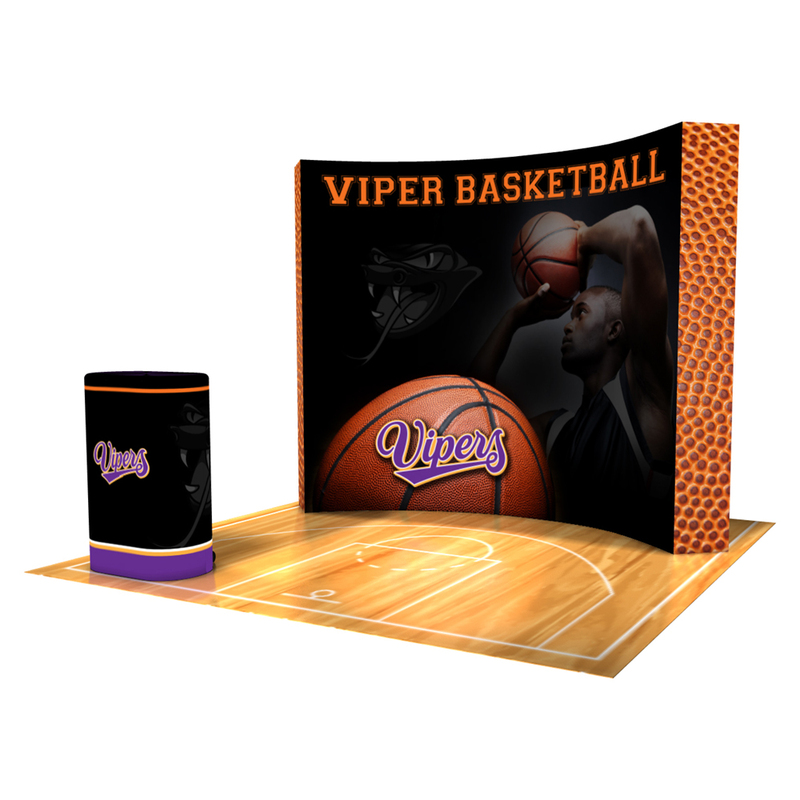 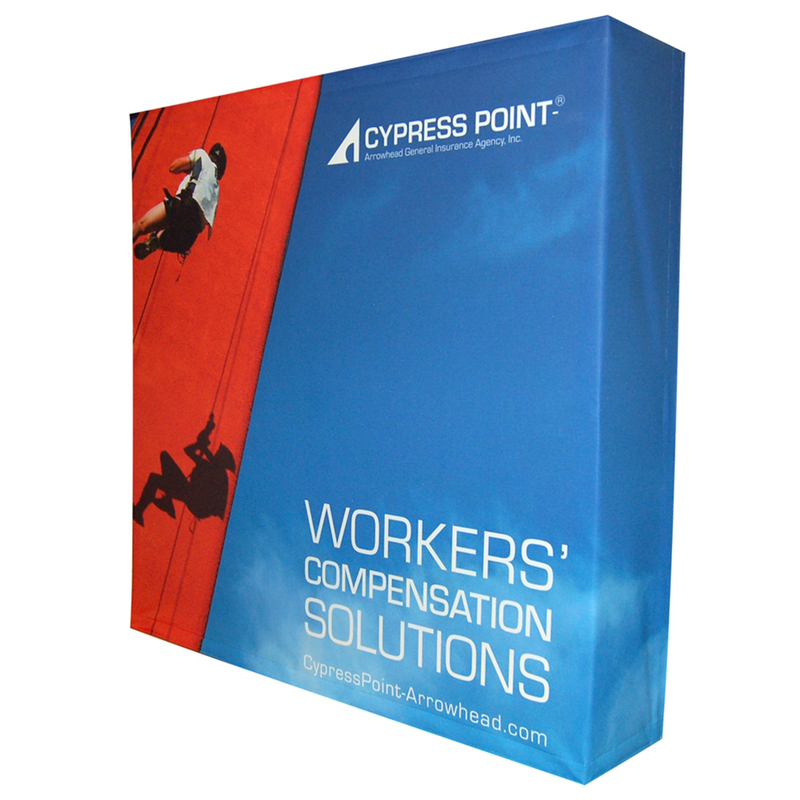 We offer complete portable trade show display kits for you, produce pop up booth graphics for your existing display, or provide accessories like banner stands and easel signs. 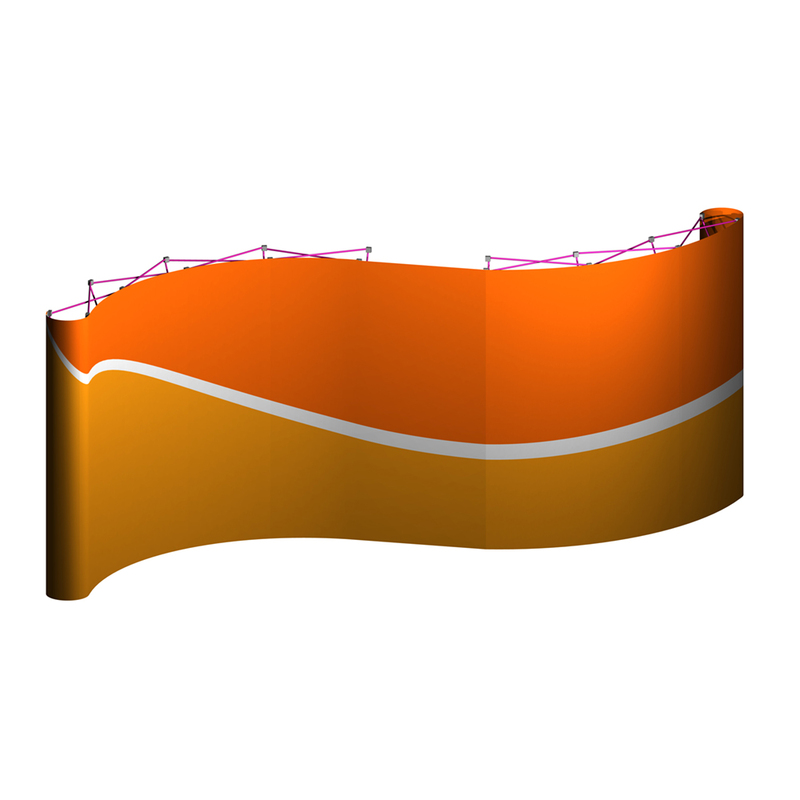 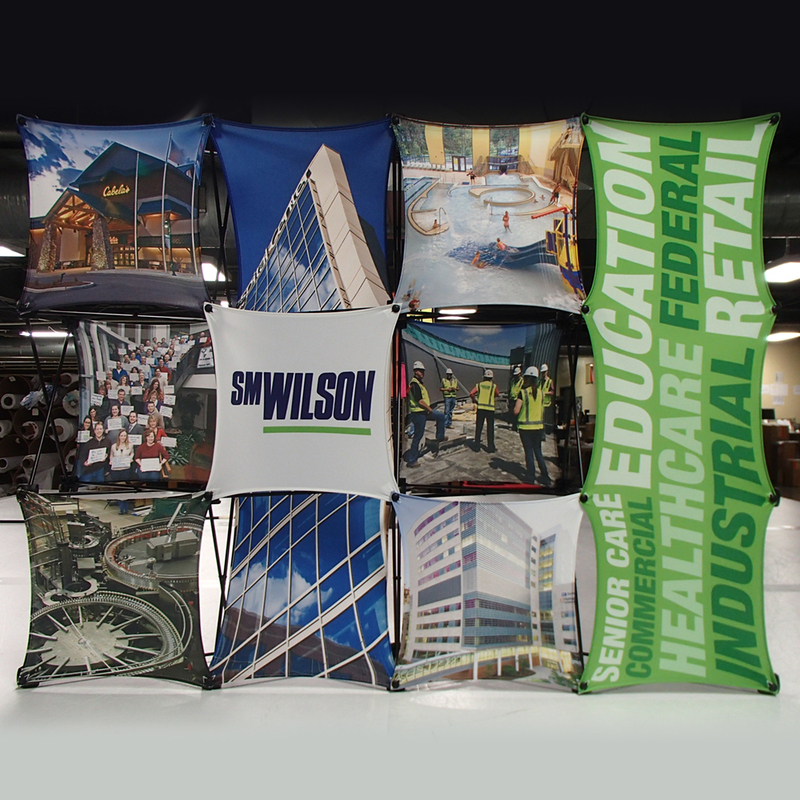 We can direct print on durable light weight rollable material (styrene) when you want to velcro your graphics to an existing fabric based display. 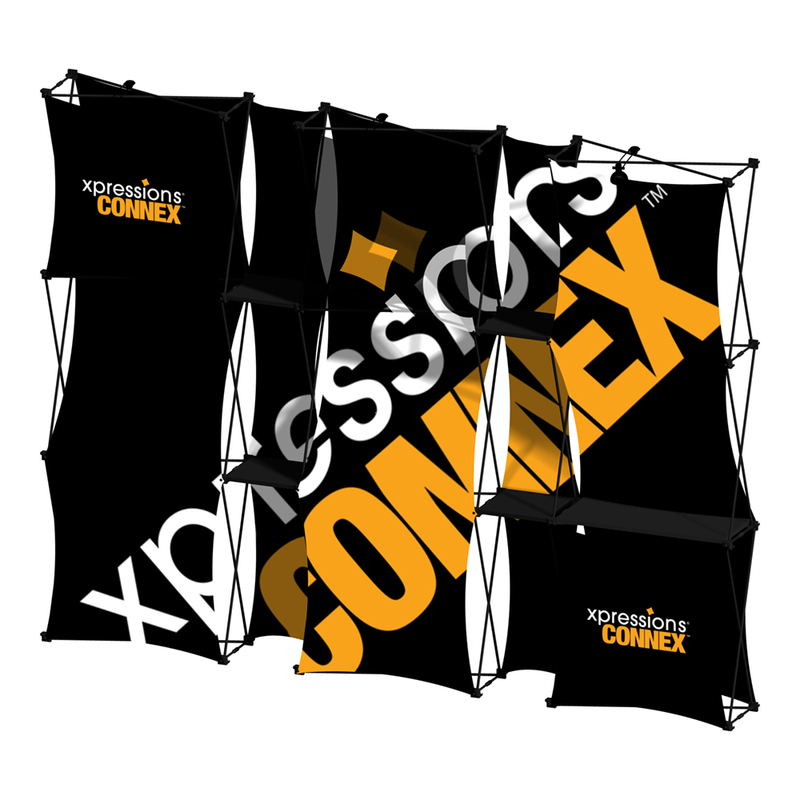 The advantage with this approach is the there are no laminates that separate from the main graphic causing terrible looking edges or worse, bubbles in the middle of an image. 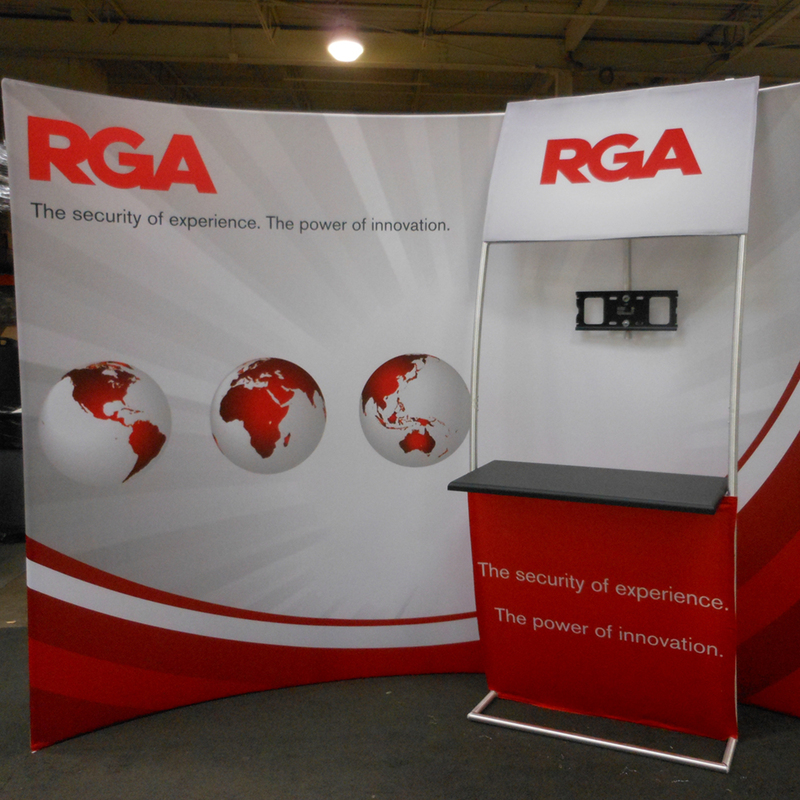 Trade show booth graphics typically include a header graphic with your logo and tag line, and several supporting graphics will showcase your products and services emphasizing the features that differentiate your offering. 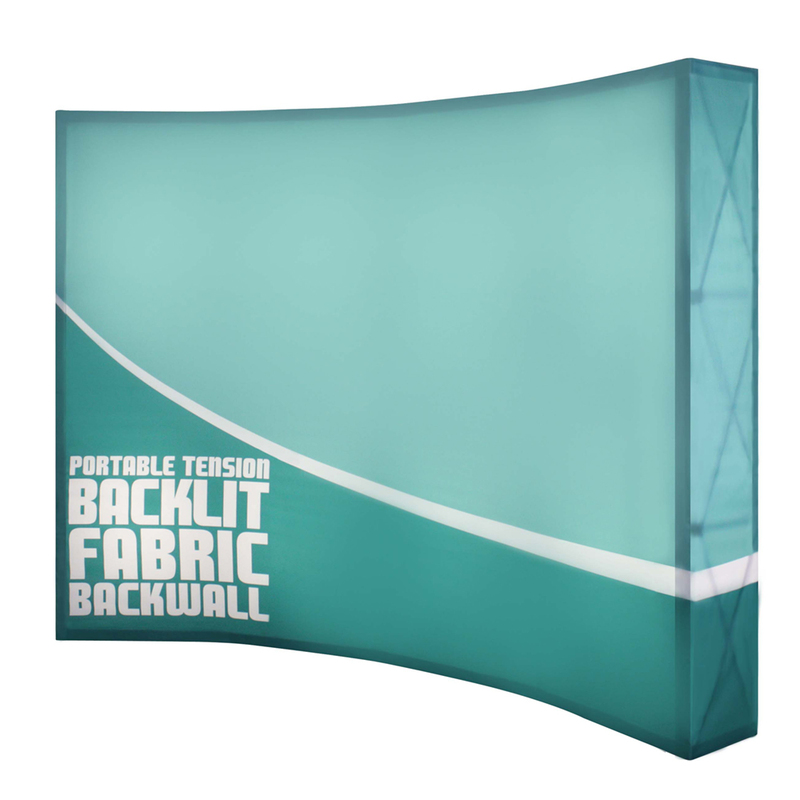 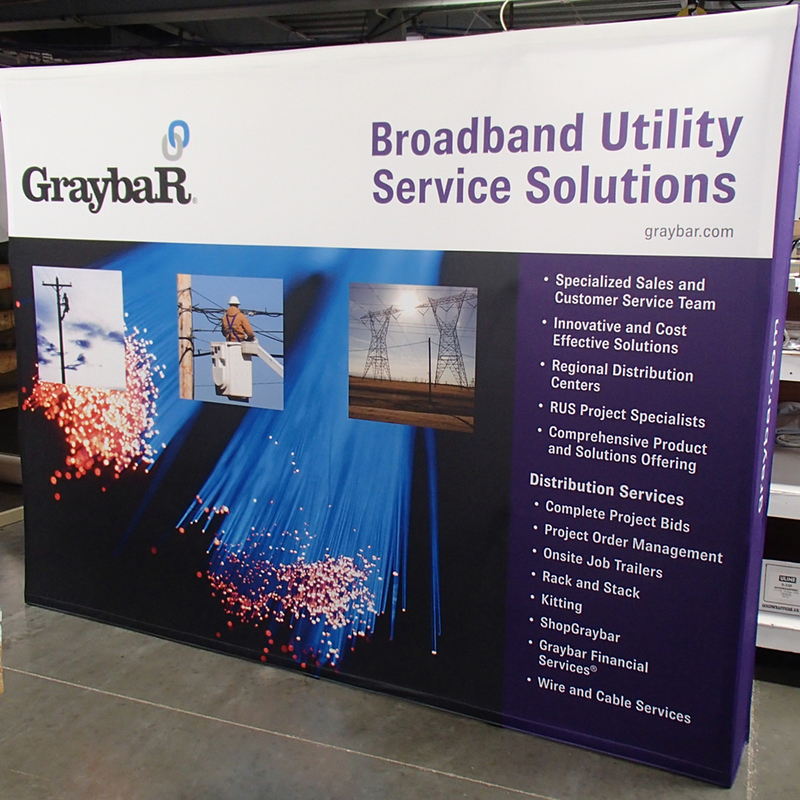 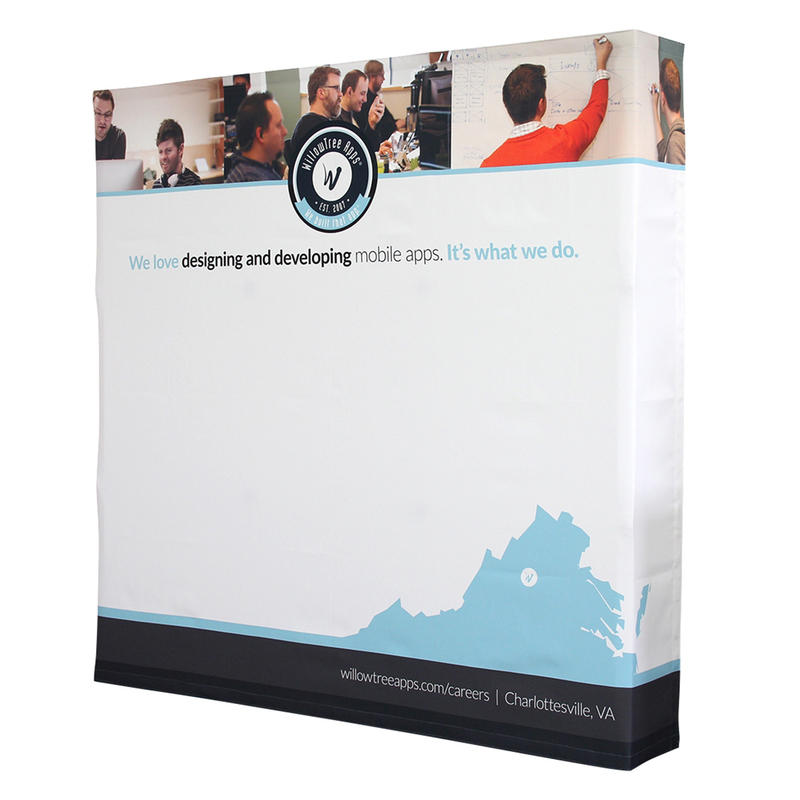 You can put together a very attractive booth on a budget by making a vinyl banner that hangs at the back of your booth. 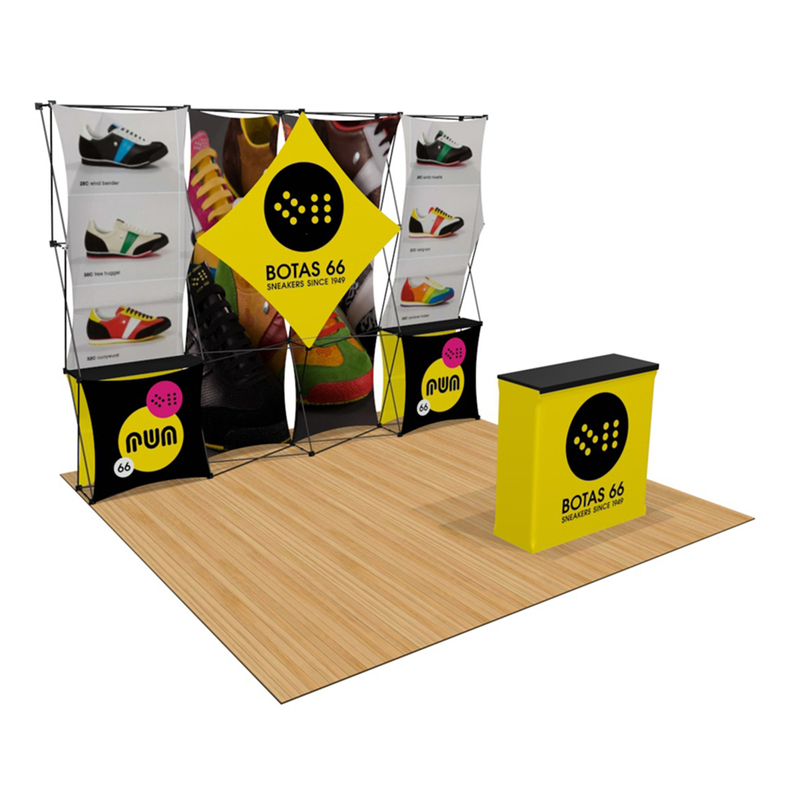 Rent a table to go in front, and you have an attractive booth that will draw in new customers. 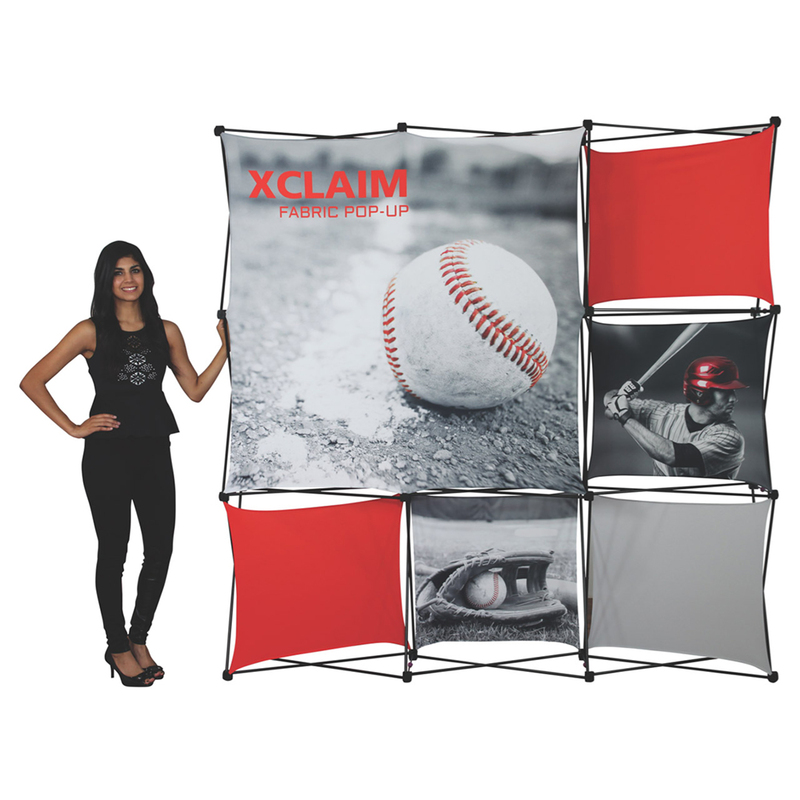 High impact graphics will attract prospects. 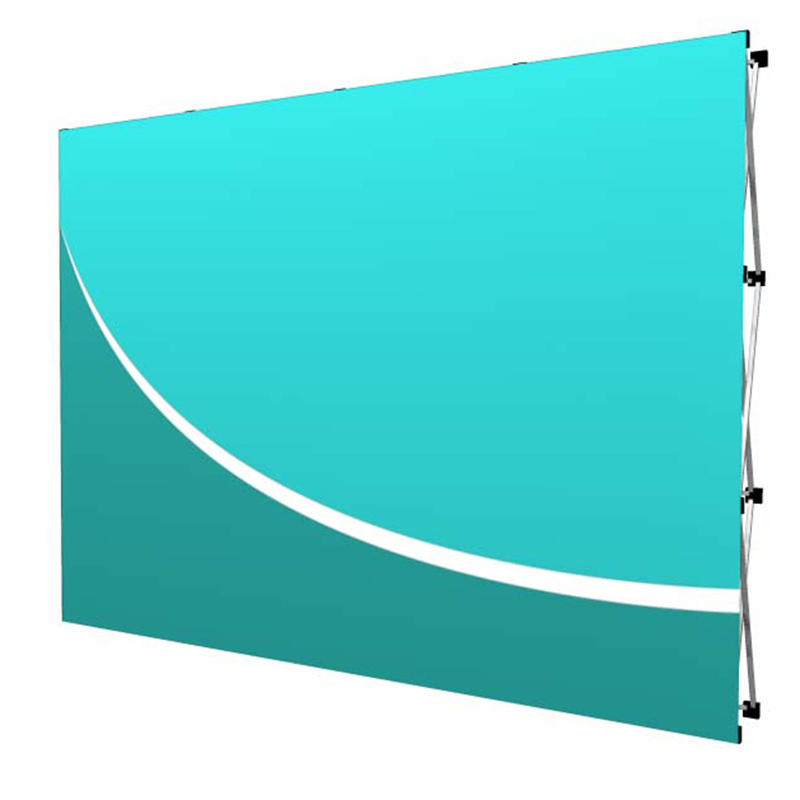 We put grommets across the top, and we’ll give you S hooks to go over the top of the curtain pole. 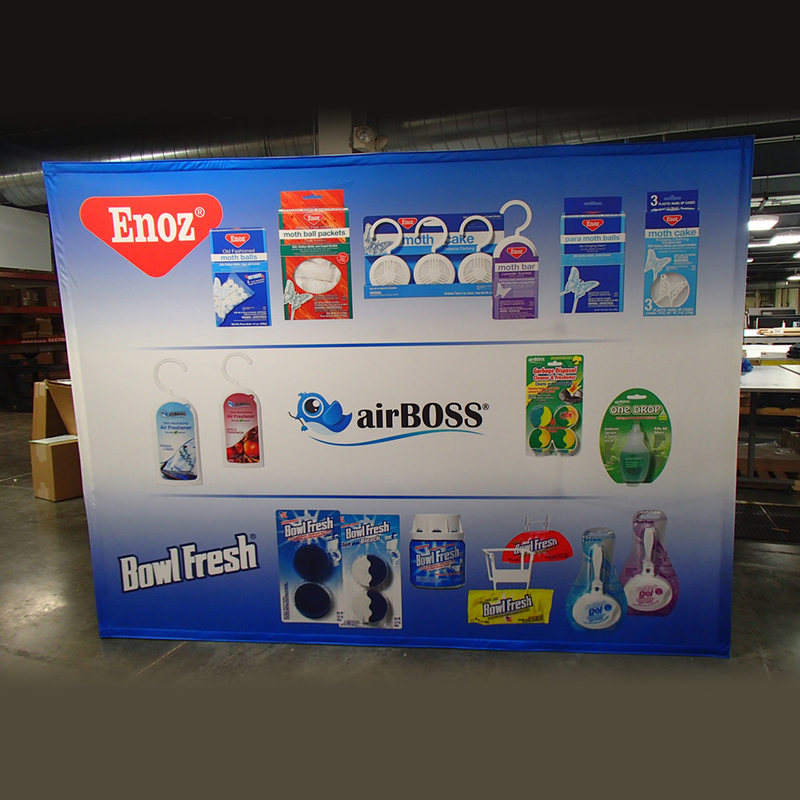 Surround your booth with graphics rich banner stands to highlight various products or special offers. 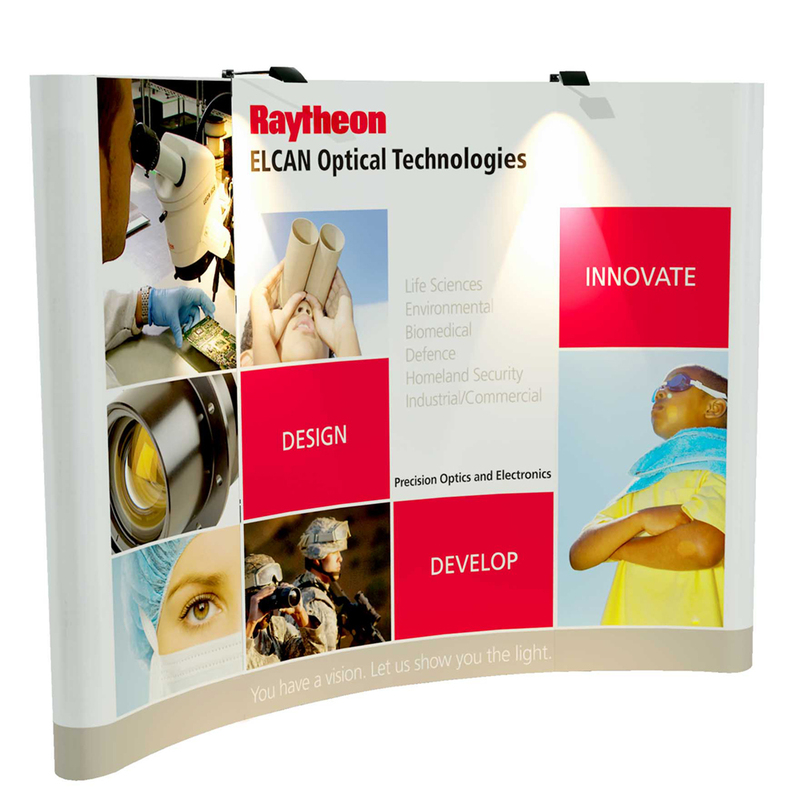 We stock several versions of retractable banner stands. 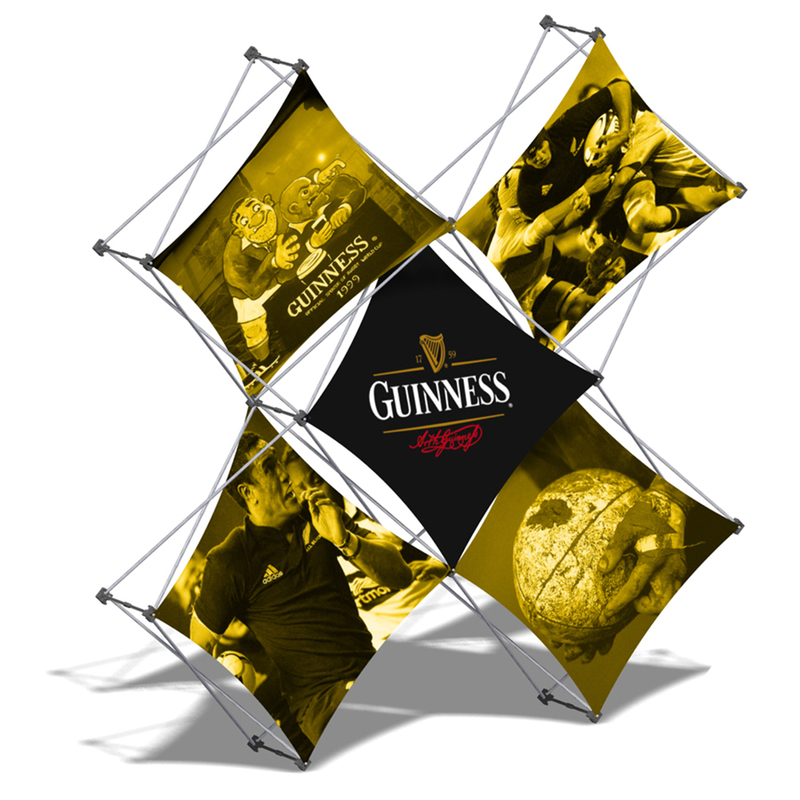 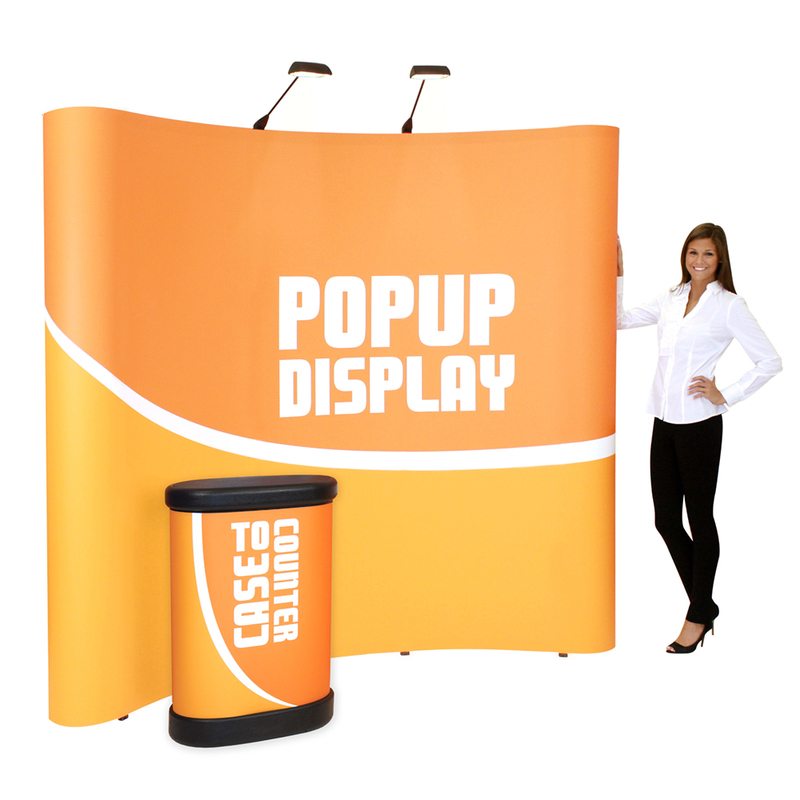 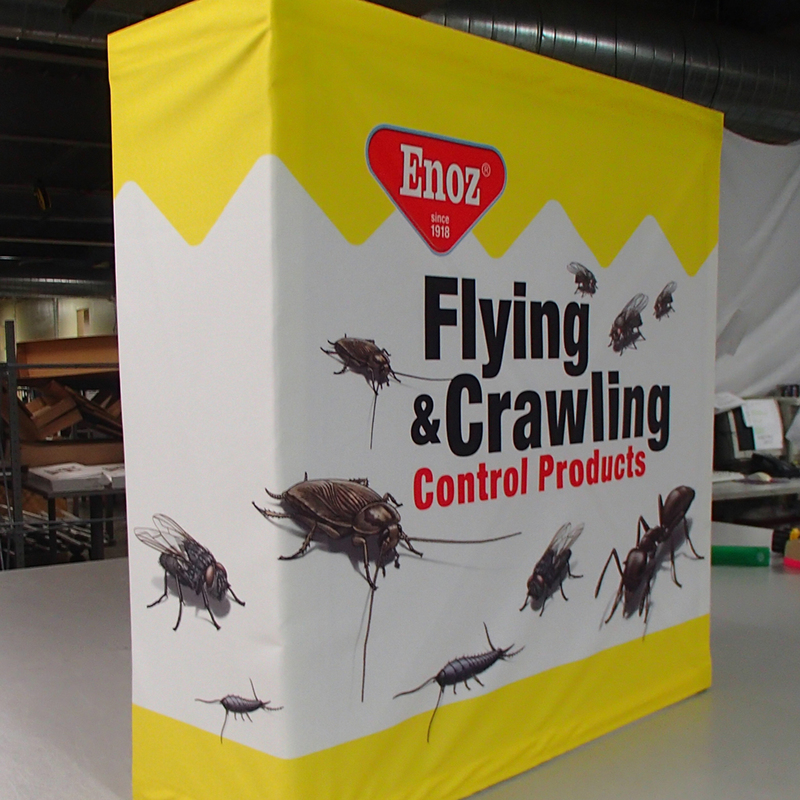 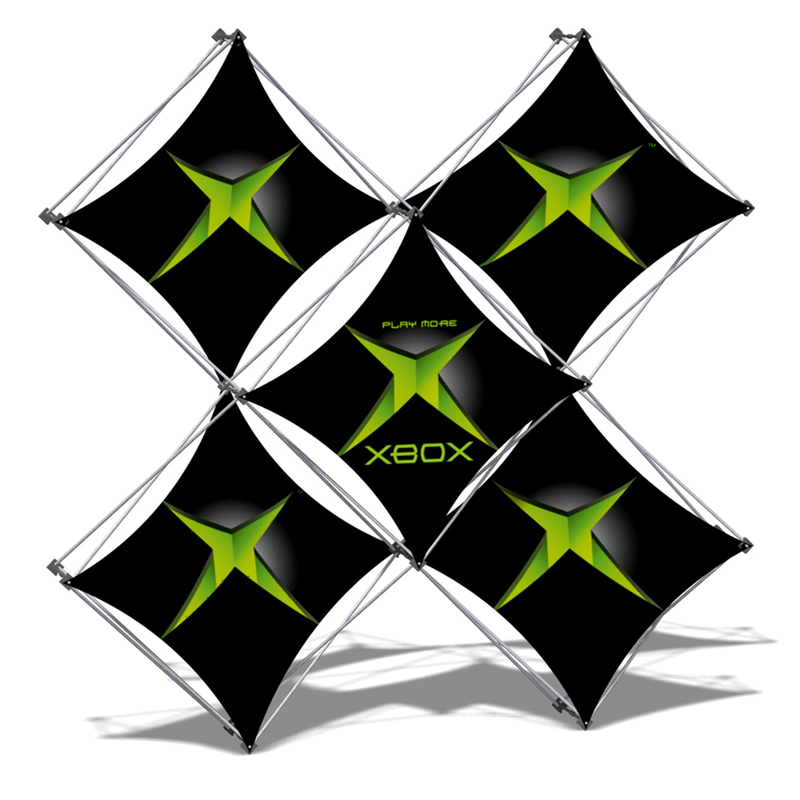 They are easy to transport and set up, and you can put three of them side by side as a complete trade show backdrop. 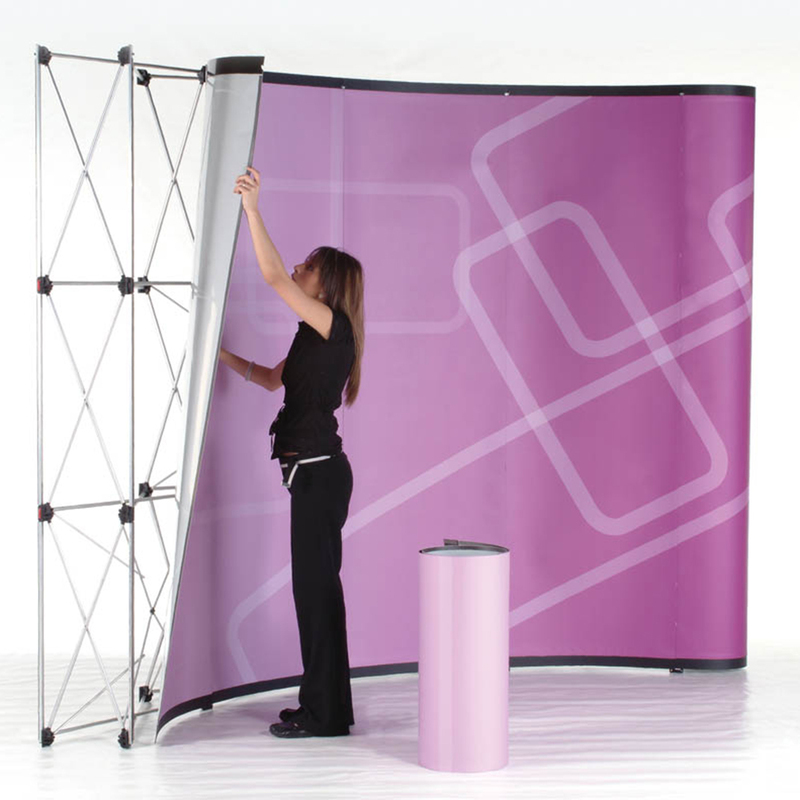 You see a lot of them at trade shows these days, and it’s no wonder since they are so easy to use! 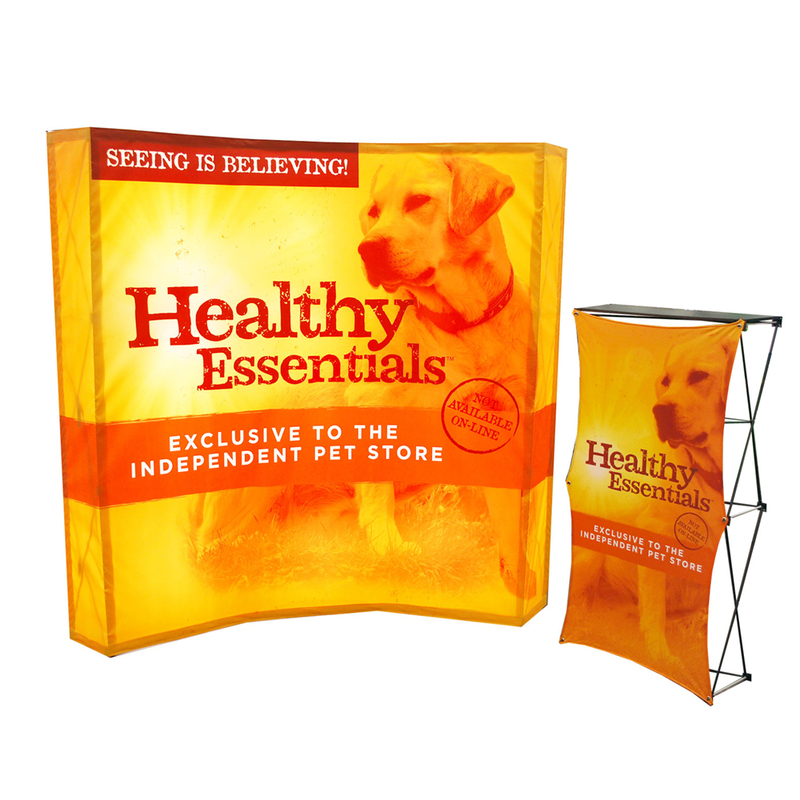 US Visuals for Store Fixtures & Merchandising Displays Go!